Manchester is situated in the North West of England, about 35 miles from the coast. The history of Manchester can be traced to a Roman fort settlement around 79 AD. Throughout the Middle Ages Manchester remained a town but began to grow and the turn of the 19th century saw rapid expansion due to a boom in textile manufacture as a consequence of the Industrial Revolution. Manchester was granted city status in 1853. Post 1945 the city’s fortunes declined due to de-industrialisation, however investment throughout the 1990’s has led to massive regeneration, particularly in the city centre. Today the city is famous for its football teams, music scene, media links, engineering and architecture. Manchester has a population of approximately 514,417. The city centre is just over 30 minutes drive, or 20 minutes train journey time, from Manchester airport, which is one of the UK’s major international airports providing flights to Dubai, New York, Paris and Singapore and more than 200 other destinations. Road and rail links are good and Manchester is 199 miles from London. The average lowest temperature in Manchester is between 0 and 2 degrees in January and the average highest temperature is 21 degrees in July. The University of Manchester is a large public research university. The roots of the University of Manchester lie in its status as being the world’s first industrial city. 1824 saw the foundation of the Mechanics’ Institute – later to become UMIST (University of Manchester Institute of Science and Technology) . The University was granted a Royal Charter in 1880, becoming England’s first civic university; it was renamed the Victoria University of Manchester in 1903. The early 20th century saw further development; the Municipal College of Technology, forerunner of UMIST, was the Victoria University of Manchester’s Faculty of Technology while continuing in parallel as a technical college offering advanced courses of study. In 1955 UMIST achieved independent university status, however the universities continued to work together. In 2003 the Victoria University of Manchester and the University of Manchester Institute of Science and Technology merged into a single institution. Manchester University has a strong tradition in the sciences; it is where the nuclear nature of the atom was discovered and the world’s first stored-program computer was built. The university’s main campus is south of Manchester city centre and it is the largest single-site university in the United Kingdom. All of the academic buildings are in the same area of the city and are within easy walking distance of each other, making getting it easy to get around the campus. Two of the university’s three residential campuses are within a short walking distance of the academic buildings. The third is a longer 30 minute walk (1.6 miles) away and is located in the popular student area of Fallowfield. Fallowfield is connected to the city centre buildings by frequent bus routes. University of Manchester is ranked 57th in the Times Higher Education rankings, it is ranked 34th in the Shanghai Jaio Tong rankings. Manchester is a member of the Russell Group of universities. University of Manchester is ranked =83rd in the National Student Survey Satisfaction rankings. Manchester university has approximately 9,000 international students representing about 23% of all students at the university. Pathway entry for international students-INTO’s Study Centre, offers foundation courses leading to degree course entry. Manchester has over 38,000 students. Approximately 27,000 are undergraduates and 11,000 are postgraduates. 92.2% of Manchester university graduates enter directly into work, further study or training within 6 months of graduation (source: HESA). A breakdown of post graduation employment by course, showing the split into professional/managerial positions, rather than general employment figures, is available from Unistats an independent source of university data. For more information, please visit the REF Information page. The Students’ Union at Manchester has more than 350 student-run clubs and societies including football, kick-boxing; chess, and politics. There are also four live music venues which attract both big-name and up-and-coming bands. The University’s sports facilities include three fitness suites, two 50-metre swimming pools and many indoor courts and outdoor pitches on campus. The city itself offers further facilities, with Sport City, Manchester Velodrome, Chillfactor indoor ski slope, an indoor tennis centre and an athletics centre. The University also owns and runs the Manchester Museum, Whitworth Art Gallery, John Rylands Library and Jodrell Bank Observatory. University of Manchester students have access to what is reputed to be the largest single-site university library in the UK, with more than 4 million books and journals. With 23 halls of residence, the University of Manchester offers a very extensive range of accommodation options. Halls are located in one of three residential campuses – Fallowfield, Victoria and City – offering a range of accommodation types. Self catering and catered options are provided. The lowest price for a single room with shared bathroom and kitchen facilities is £72.00 per week. An example price for catered accommodation is £137.00 at St Anselm Hall. 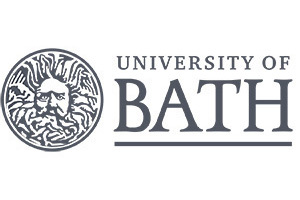 Fees for full time undergraduate courses start at £18,500 for non Laboratory degrees. Science and Engineering degrees cost £23,000. 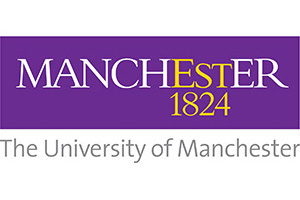 The University of Manchester offers distance learning across Arts and Social Sciences to PGradCert, MA and PhD level and across Health and Medicine to both PGradCert and PhD level.